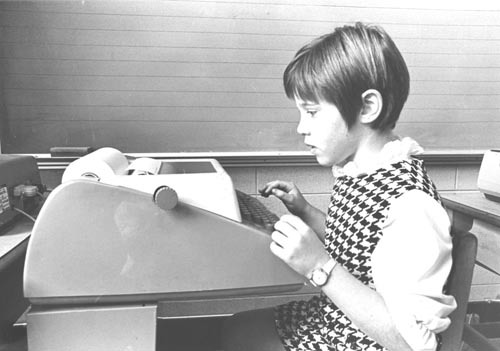 This is a black and white image of a girl in front of a teletype machine. She is wearing a checkered jumper and looking down at the machine. The teletype to printing out text. Verso: "Teletype" in black ink.